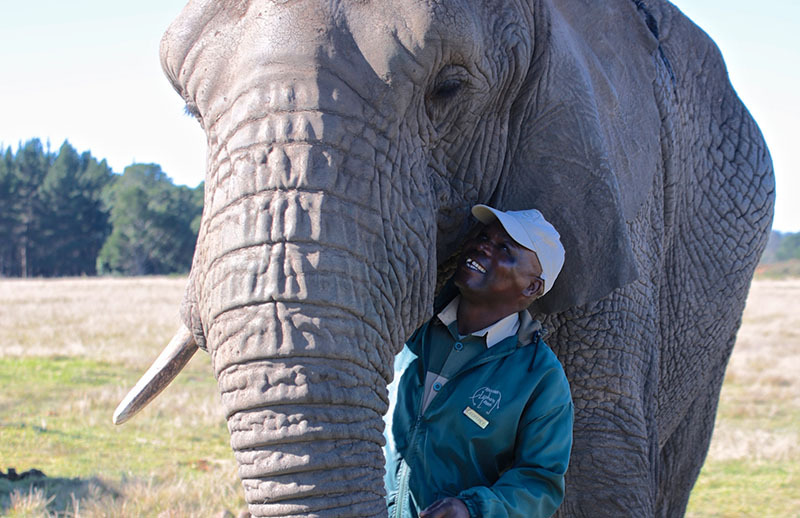 Our daily ‘Be Touched by an Elephant’ Tours leave every half hour, every day, from our reception / visitor’s centre between 09h00 and 15h00. 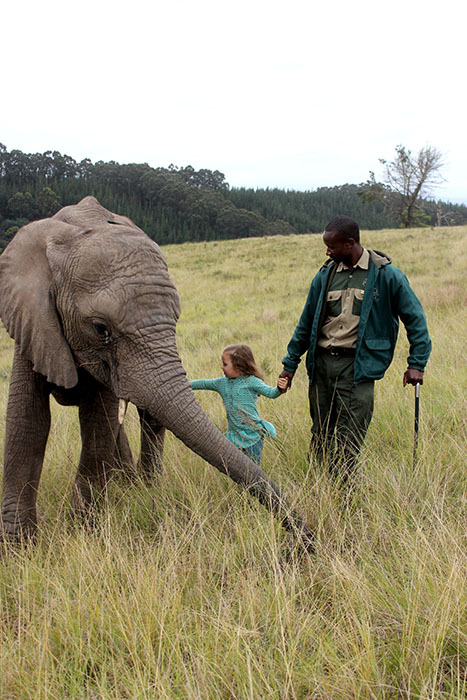 No reservations are necessary! 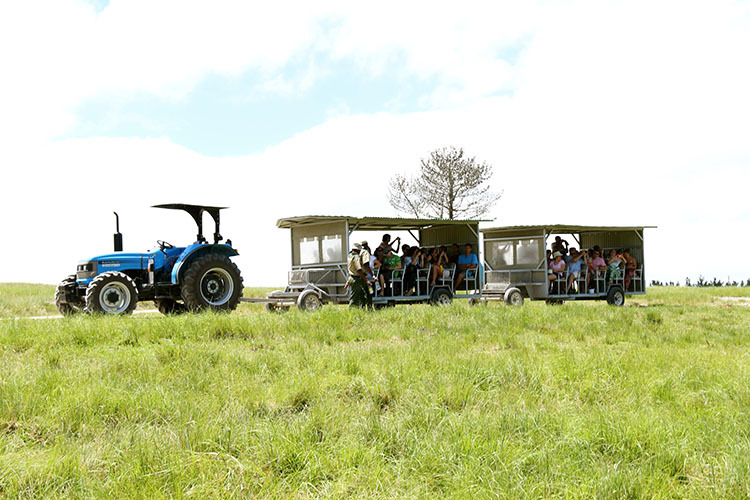 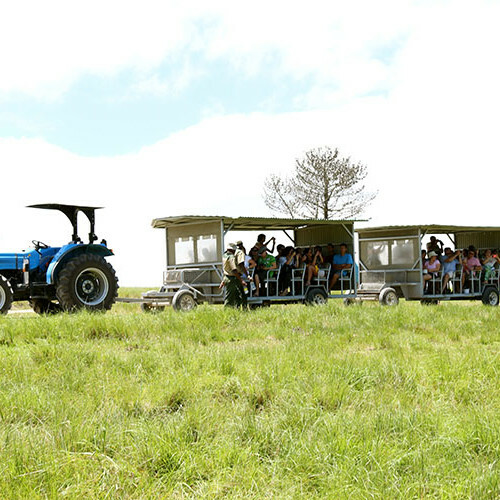 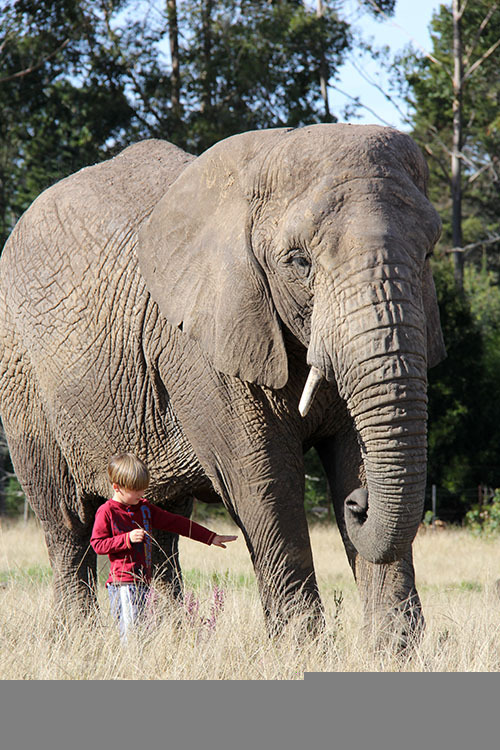 Following a short video, guests are transported to the field where you have the opportunity to interact, feed and walk amongst our herd of African elephants. 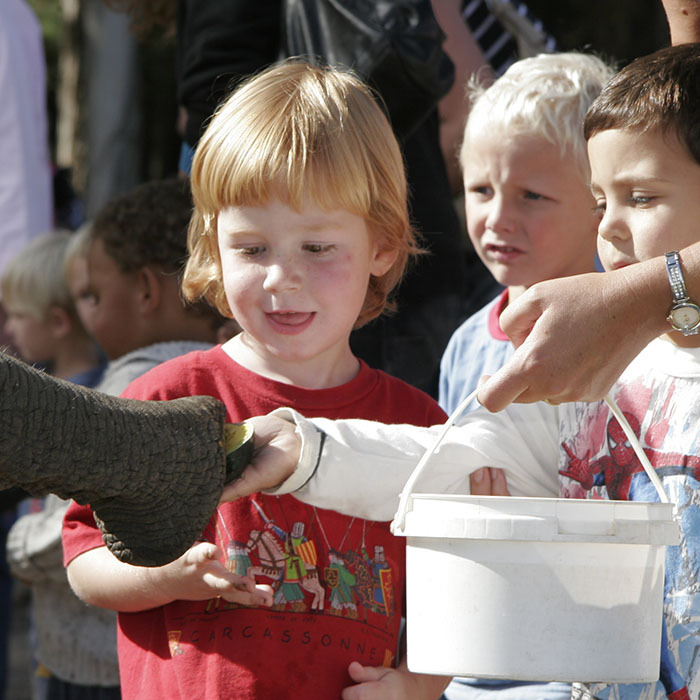 You also have the opportunity to purchase an ‘elephant snack bucket’ to feed the elephants during your visit. 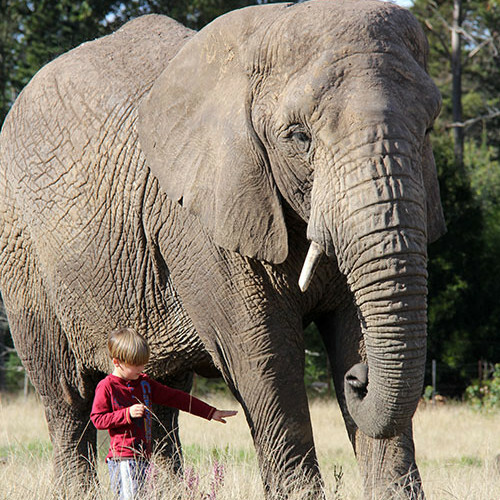 Responsible and educational interactions enable guests to appreciate the awe-inspiring presence of these animals, on elephant terms. 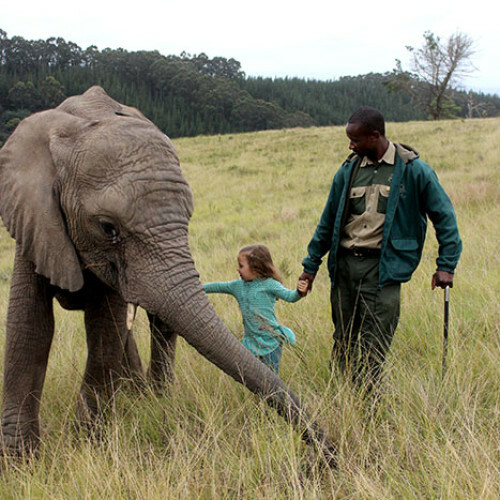 There are no fences to spoil the close encounter and our environment encourages elephants to exhibit natural behaviours. 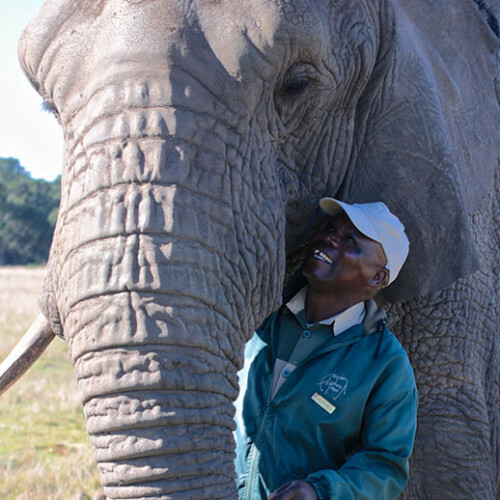 Guests are welcome to spend as much time as they wish with the elephants – transport returns to reception every half hour. 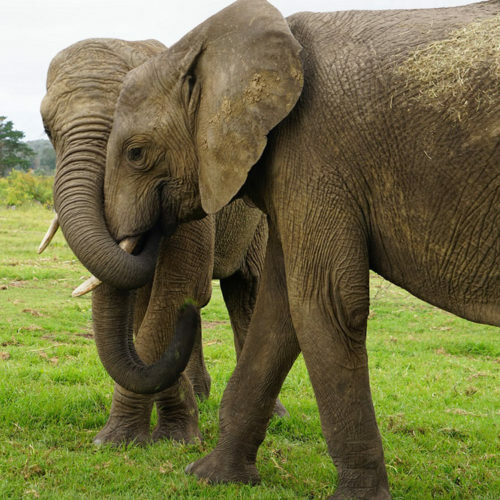 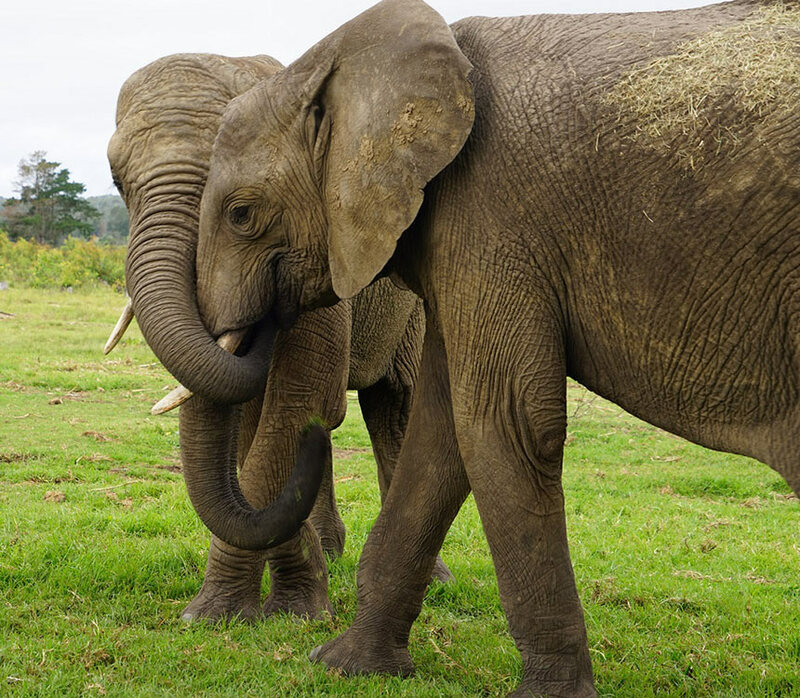 Our herd of elephants play a vital role in closing the gap between man and animal, allowing us to better understand the plight of the African Elephant and that of their peers in the Knysna Forest. 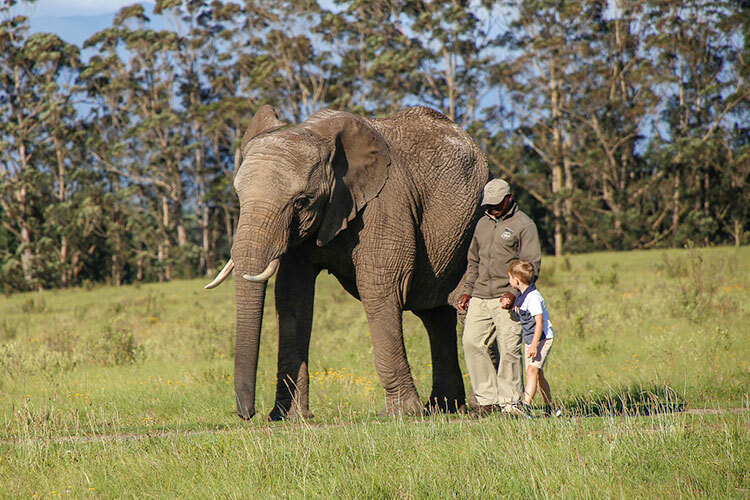 Visitors leave the park with a sense of awe for these magnificent animals. 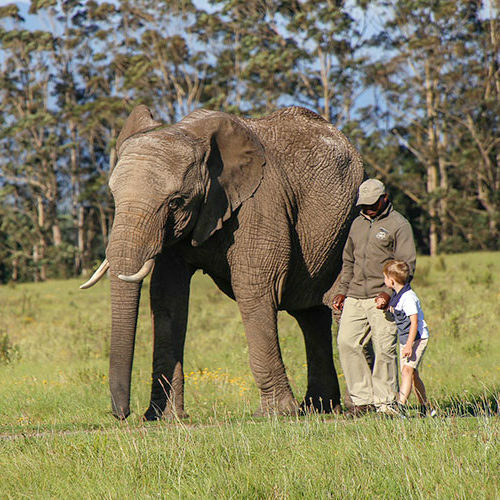 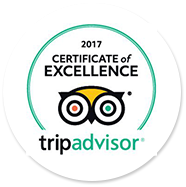 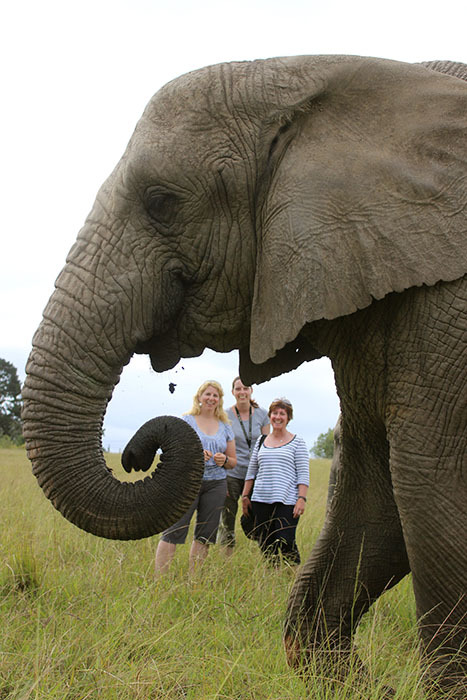 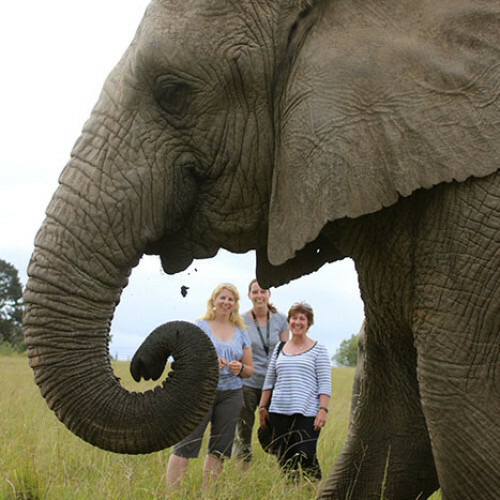 Experience Duration: 45-60 minutes | Guided tours depart every 30 minutes, on the hour, but you are welcome to stay with the elephants as long as you wish.